Focusing on functionality and quality through raw materials, Martin Goebel creates aesthetic compositions in his hand-built furniture. 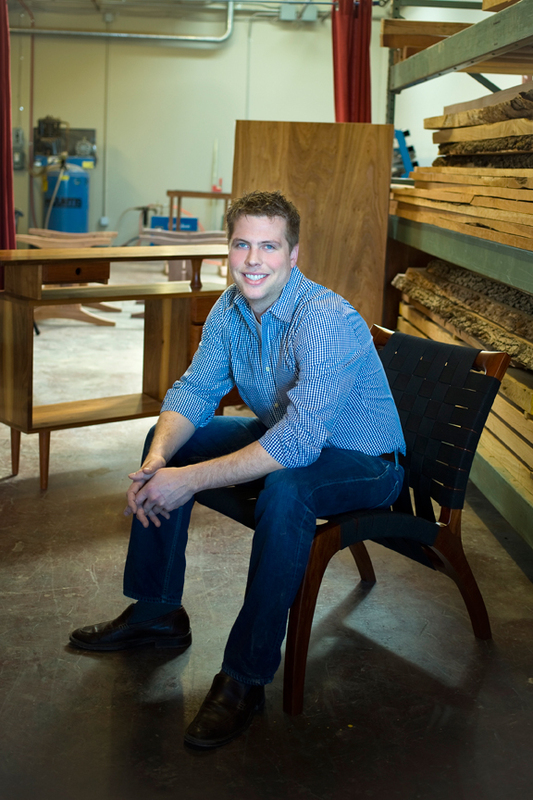 Martin Goebel, owner and designer at Goebel Furniture Co., shares his distinctive design philosophy. SLHL: So how did you start designing furniture? 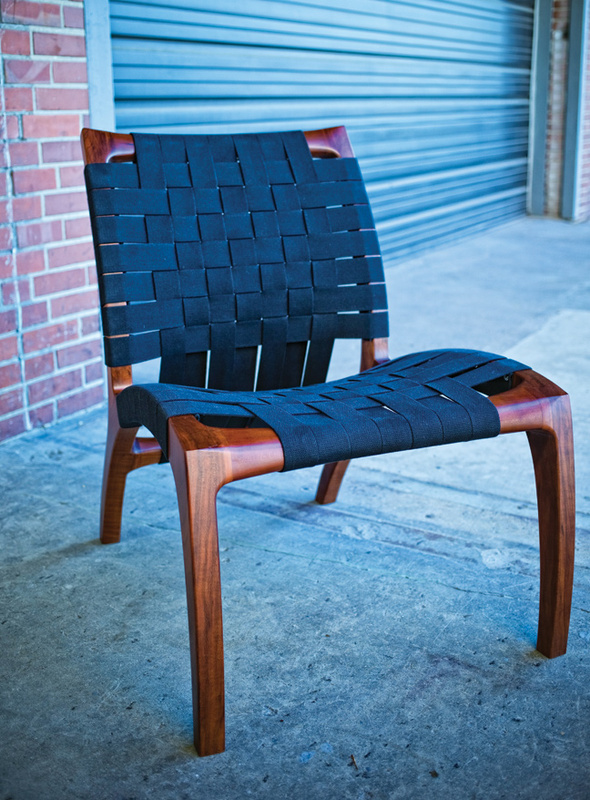 Martin: I received my formal design training at Rhode Island School of Design during my MFA work in furniture design. 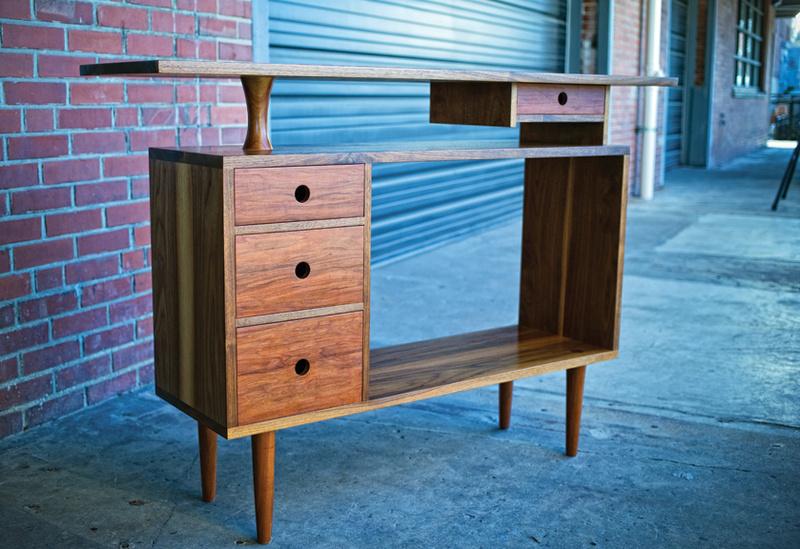 Previously, I was classically trained in the art of furniture craft and cabinetmaking. My heightened understanding of traditional craft methodology and BFA in sculpture greatly informs my formalized process which I honed at RISD. Martin: Elegance through simplicity… by reducing the number of elements and aesthetic choices embodied in my designs, I focus on functionality with refined compositions, which highlight premium raw natural materials. Simple curvature and joinery are celebrated so that the quality and beauty of raw materials can be the focal point. SLHL: Where do you get your materials? 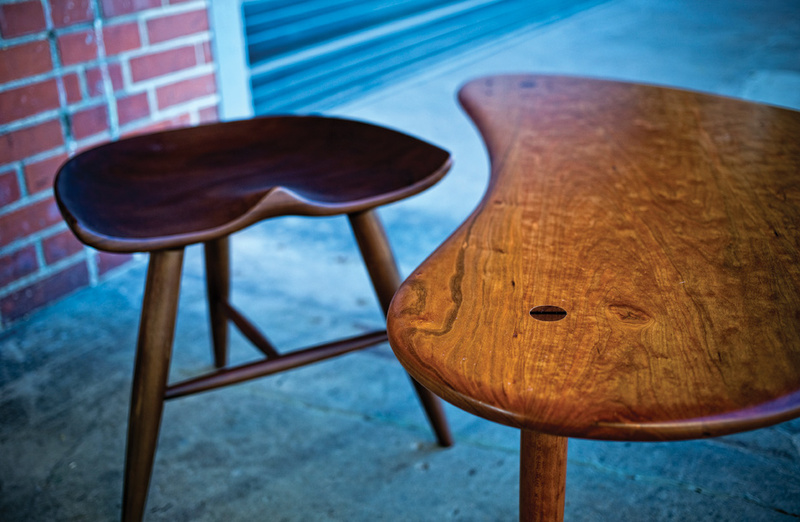 What role does sustainability play in your furniture? SLHL: How do you construct your furniture? How are your pieces held together? Martin: Our furniture is constructed with traditional wood-to-wood joinery and held together with a variety of wood adhesives. This creation process allows for expansion and contraction without reducing structural integrity. The addition of screws and metal fasteners reduce the integrity of furniture because they do not expand and contract with the wood. Over time, this construction will loosen, causing your table to wobble or chairs to break. We keep the use of metal fasteners to hinges and other essential uses in the merger of wood and metal. This method yields products without a finite life span. SLHL: Where do your design ideas come from? Where do you draw your inspiration? Martin: My designs are classic and relatable, while removing visual clutter and heavy ornamentation. I create aesthetic compositions, which facilitate emotional attachment through longevity. Imagine a dining table, which sees life occur from drinks with friends, holiday gatherings and eventually generations of meals, homework and shared time. Lasting beauty through simple, elegant aesthetic choices and creation of emotional attachment is the goal. I design pieces meant to transcend tastes and trends – designs my clients’ grandchildren will fight over generations down the road.